This graph shows how well we care for very complex cases and help our patients live to recover from their conditions. Observed to Expected Mortality is the figure that measures this ability. 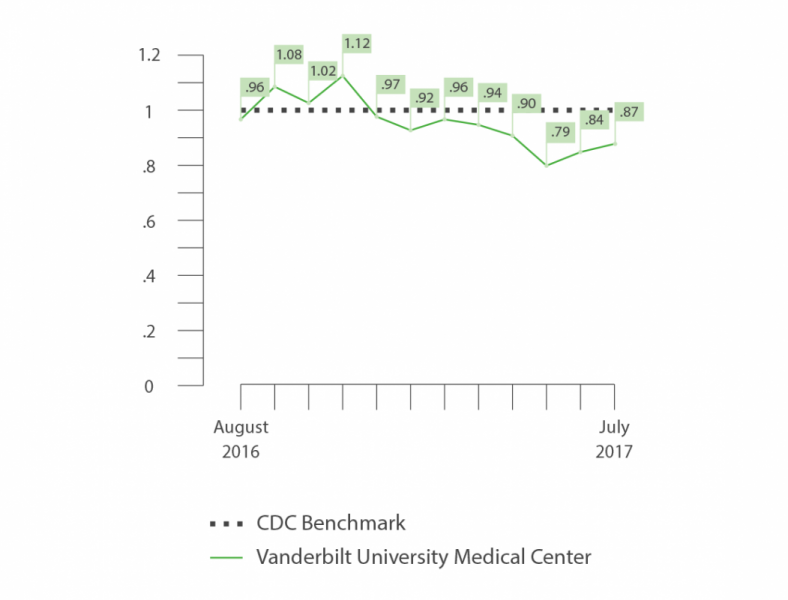 Vanderbilt University Medical Center often beats the national average. A number below 1.0 means that fewer patients die in the hospital than would be expected. Given how many serious and complicated cases Vanderbilt treats, our patients often survive at a better-than-expected rate.